You have to restrict your diet to be fit. But it’s okay, because being fit feels better than *insert favorite food* tastes. And anyone that actually believes it, probably hasn’t had really good brownies. Or cookies. Or cake. Or ice cream. But the lie isn’t a lie because food tastes good. (Even though, let’s be real, food is friggin’ delicious.) The lie is a lie because it perpetuates the idea that you can’t eat food you enjoy and be fit. You can—and should—enjoy delicious food while you get amazing results. Better news… I’ve got a recipe that’ll help you do exactly that. 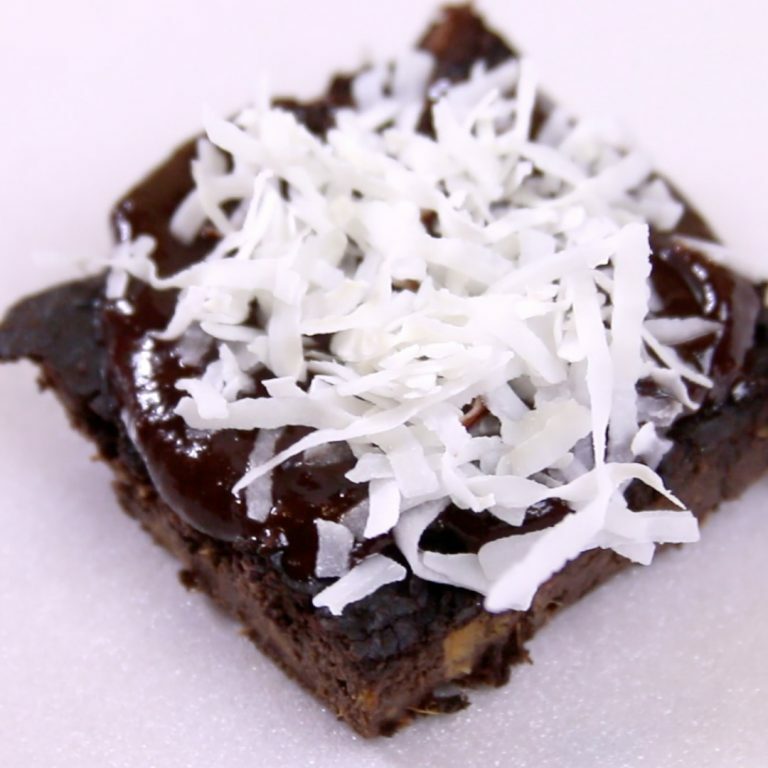 Guys, healthy coconut-fudge brownies. They’re chocolatey. They’re coconut-y. And they’re incredible. Best part? These brownies will actually help you get better results. And honestly, that’s the case with all of the DELICIOUS recipes we have for you here at Flat Abs Fitness. Cut up sweet potato and place in pot to boil on high heat for 8-10 mins then smash them up. Measure out nut butter and melt in microwave. Pull out of oven and add topping then let sit in the fridge to cool and set or eat up while they're Hot! Place ingredients in a microwaveable bowl, heat for 20-30 seconds is all it takes to get the chocolate soft. See how our approach here at Flat Abs Fitness is a little different? We’re not here to force you into the miserable sort of meal plan your supposed to follow. We want to help you enjoy great food. We want you to have healthy recipes (like those brownies). Ultimately, we just want you to succeed. Now, you could try the restrictive route and avoid all your favorite foods. But you’ll want to buckle up for the misery and mediocrity. Trust me. You could just go make these coconut-fudge brownies, feel zero guilt, and start enjoying good food with a side of fitness. And then try our FREE 15-Day Flat Abs Challenge that will help you take the first step to get RESULTS. Click Below to Sign Up! How many calories Per one piece? How much sugar is in this? Yes, nutrition info would be nice! Would a chocolate protein powder be an acceptable addition?